I’m having a hard time concentrating today. Maybe it’s because we haven’t had more than half an hour of watery, gray sunlight in days. Unsurprisingly, there were quite a few doilies for me to pick from at this thrift store, which is both operated and frequented by seasoned church ladies. One doily that I liked was priced at an inexplicably outrageous $7.95. 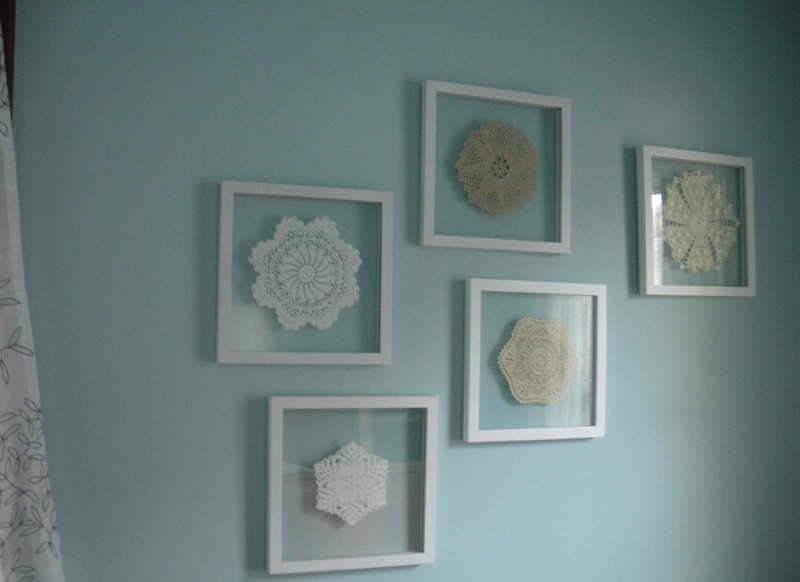 The only explanation that I can come up with is that the church lady who priced that particular doily also has experience in the making of doilies, which must be incredibly frustrating. Or, at least, I would find it frustrating. That’s part of why I like having these examples of patient and presumably female work on the walls of my study. If only I could summon that degree of concentration. I bought a solid sterling spoon at the same store a few weeks ago and felt (only vaguely) guilty as I paid the 49-cents the church ladies were asking for it. 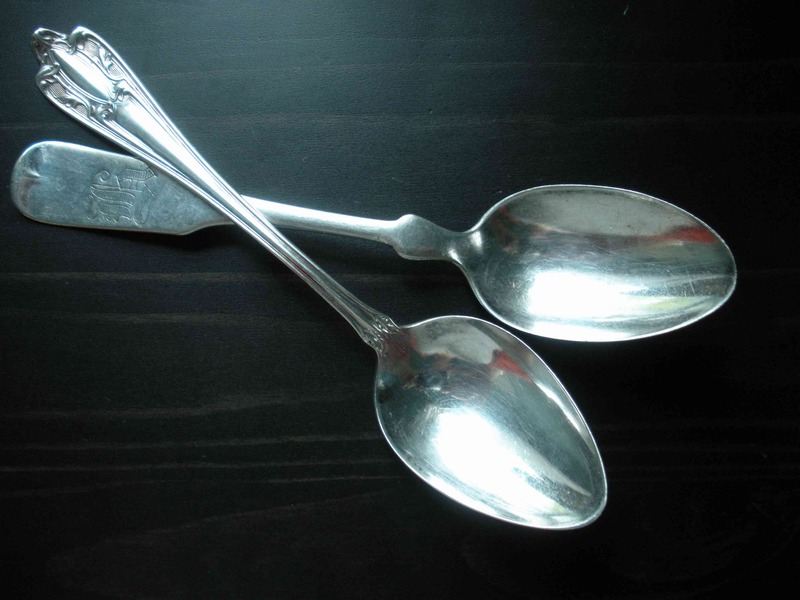 These two, I think, are only silver plate, but they’re pretty. And now I’ve arrived at my computer again, to consider doilies, spoons, teapots, and vegetable lambs. Sometimes it’s a little hard to separate my work from my non-work, anyway.